We love hearing how the Owler community uses our product to save time and find valuable information that is otherwise difficult to track down. We wanted to share some of the great features Owler provides to one group of our users – sales people! 1. 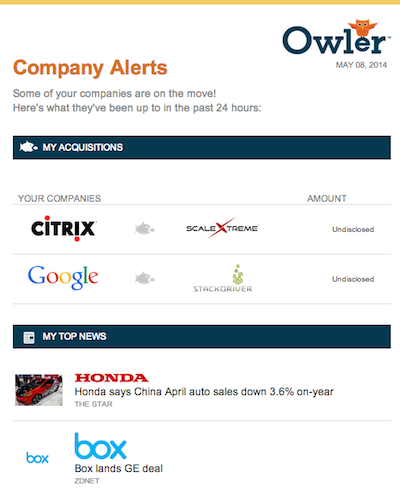 Ditch noisy news alerts: With your personalized news feed on Owler you only get news on the companies you choose to follow be they clients, competitors, or potential leads. You’ll find all the news you’re looking for in one place, and save time not having to sift through the noise that you’re used to with Google Alerts. 2. Daily Briefing: Our simple but informative daily emails deliver top news and alerts on your companies straight to your inbox. Get a quick overview of your target companies without leaving your email. 3. Practical Profiles: Users tell us they love checking Owler before meetings to get a high-level view of their clients and potential customers in just a few minutes. 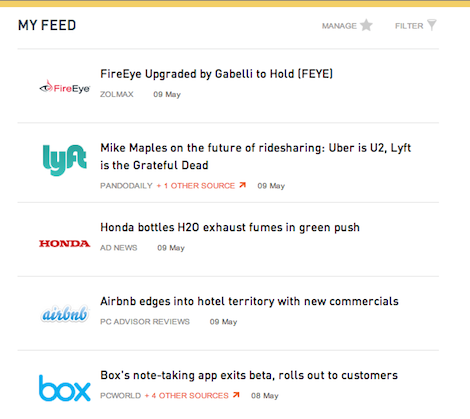 Use that time in the waiting room for a quick scan of the company’s vitals and latest news. 4. 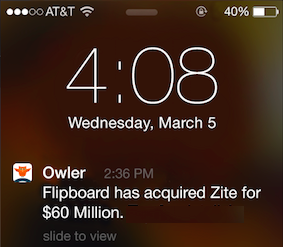 Take the news with you: Coming soon, Owler’s mobile app gives you the latest news on-the-go so you’re never out of touch with your clients. Start selling now: Create a free account on Owler!